Will Meredith of London’s Dandelyan bar has beaten 39 mixologists from around the world to win the global final of 2017’s Elit Art of Martini Competition. As many as 39 of the world’s most visionary bartenders gathered in Ibiza on 23-24 September in a competition hosted by Stoli’s luxury vodka Elit to create the ultimate Martini. The event saw participants bringing their creations in front of a powerhouse of judges, all set to uncover the world’s most exclusive martini. Battling four fellow finalists from Venice, Milan, Barcelona and Beirut, Will Meredith of Dandelyan (London), won over the judges with his Andean Copper, a refined take on the classic cocktail using the Elit Andean edition as a base. A zing of Kaffir lime and the earthy aroma of dark truffle was said to perfectly complement the spirit’s bright citrus and honeyed vanilla notes. The judging panel who crowned Meredith the champion of this year’s Elit Art of Martini Competition was made up of industry experts from the worlds of mixology and gastronomy: famous mixologist Salvatore Calabrese, Michelin-starred chef Paco Roncero, Eleven Madison Park bar director Leo Robitschek, and Stoli Group brand ambassador Simone Bodini. The competition’s hero martini will be listed for a year in Paco Roncero’s Michelin-star restaurant, La Terraza del Casino in Madrid. In addition to bringing Meredith’s luxurious serve to the world in a fine dining setting, the competition winner will also get the chance to further his connections in the bartending world by visiting the Tales of the Cocktail event in New Orleans in 2018. 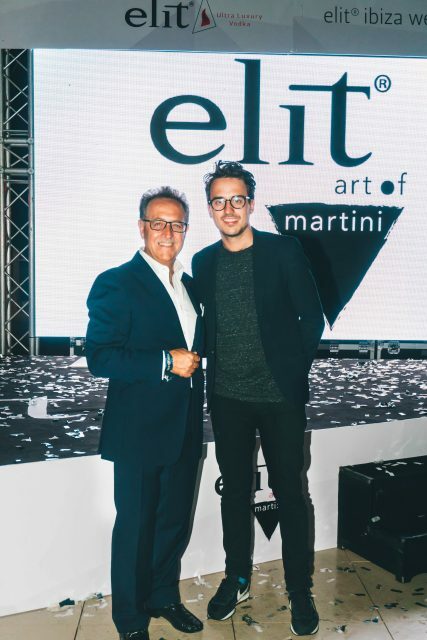 “The Elit Art of Martini Global Finale was a showcase of the world’s most visionary martini makers; from over 800 entries, we met thirty-nine of the bartenders in Ibiza, where we narrowed our search to five of the best,” said Brent Lamberti, Elit Vodka global brand ambassador and the event’s host. Continuing, he said, “All finalists demonstrated great artistic vision and creativity, but Will Meredith’s final martini, Andean Copper, stood out by highlighting the subtle notes of our limited edition Elit pristine water series: Andean Edition with elegance and simplicity”.